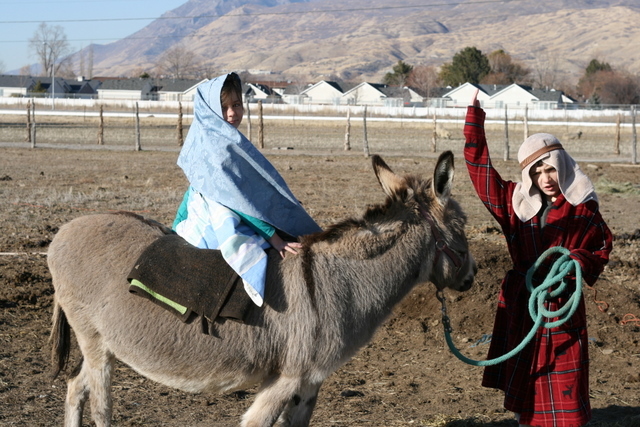 And on that day, Joseph did bring Mary forth on a donkey. 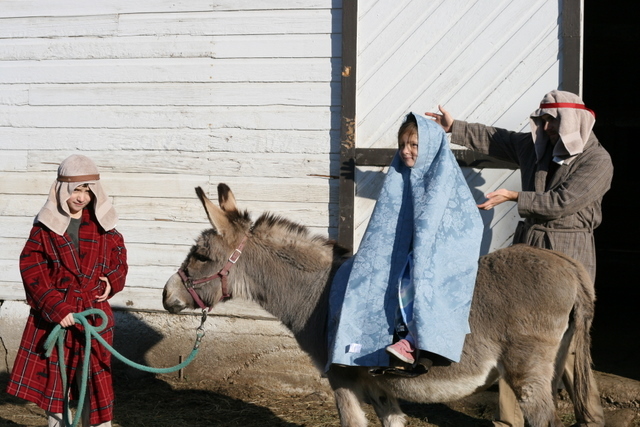 It was hard to get that donkey to go towards Bethlehem . . .
. . . even when Joseph tried to bribe it with treats. 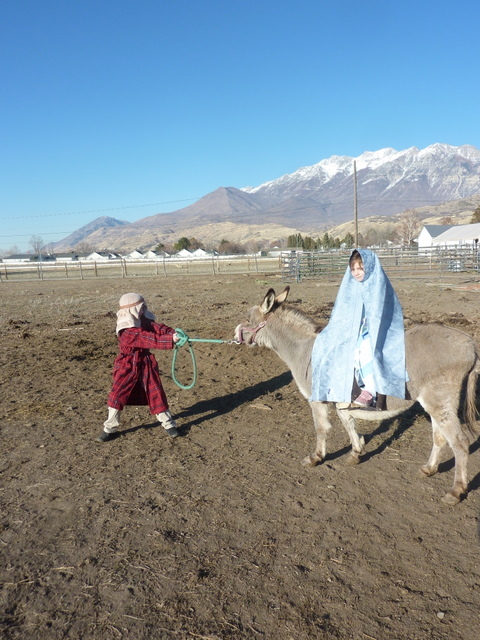 Even when Joseph commanded the donkey to repent. 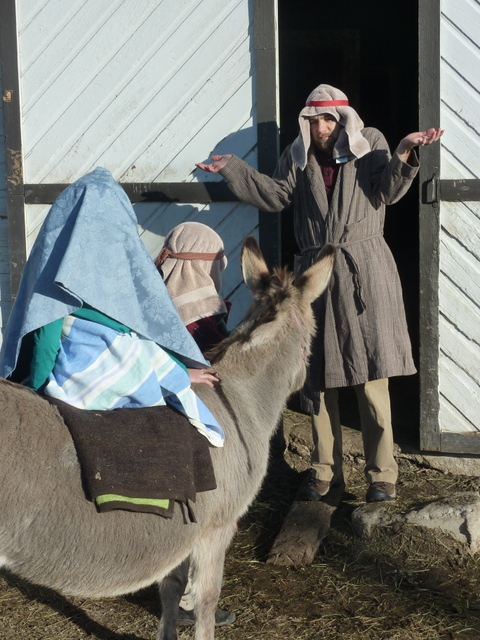 Eventually Joseph and Mary did come forth unto an inn, but Lo! There was no vacancy! 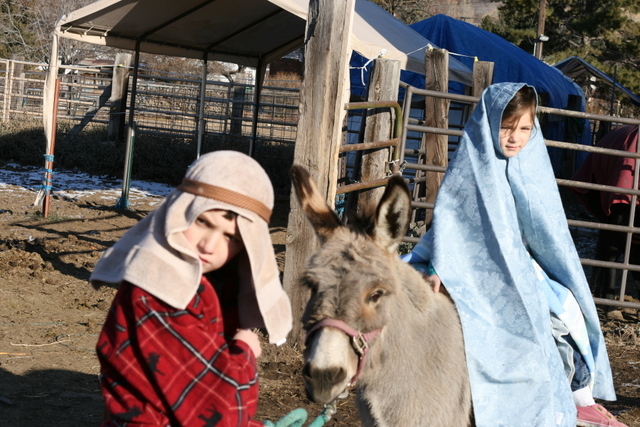 The innkeeper suggested they go unto the stable. Mary was exceedingly brave to ride sidesaddle on a donkey for so long. 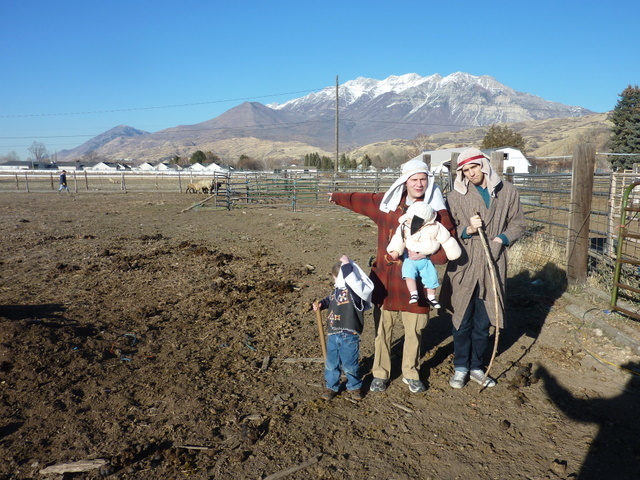 Joseph shooed the livestock away. 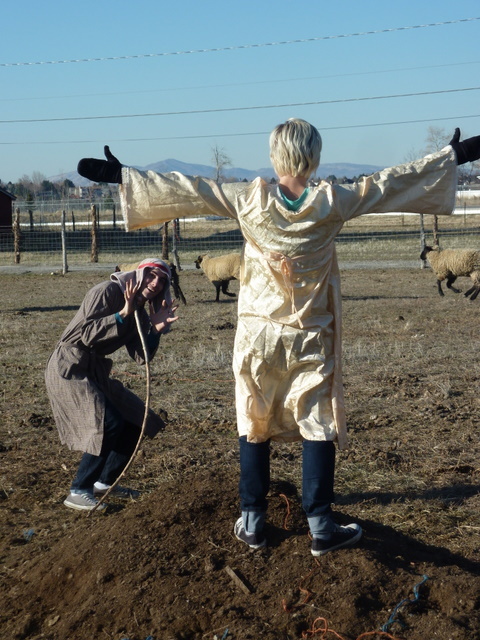 There were also babes in sheep’s clothing. Who were cute despite being false sheep. 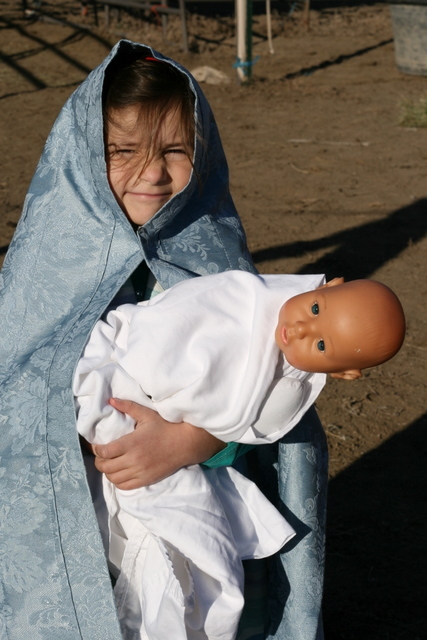 An angel of the Lord did come down, and said “Fear not!” but it was rather fearful anyway and the shepherds did quake. 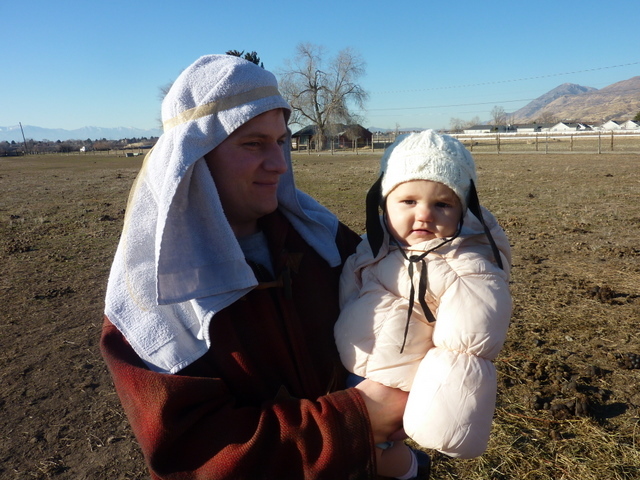 Meanwhile, the babe was born in the stable, and Mary smiled despite how shivery cold it was. Then the shepherds did sidle on over, and Lo! did everyone smile forth for the camera. Special thanks to Uncle Jake, Uncle Peter, Aunt Erica, and DeLynn’s animals (esp. 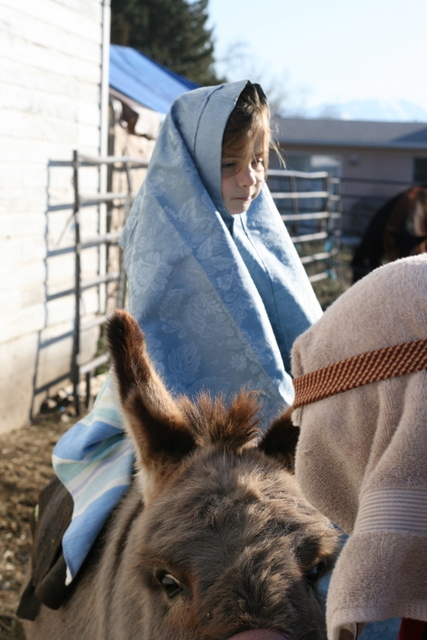 Annabelle the Donkey). I love the angel and costume! 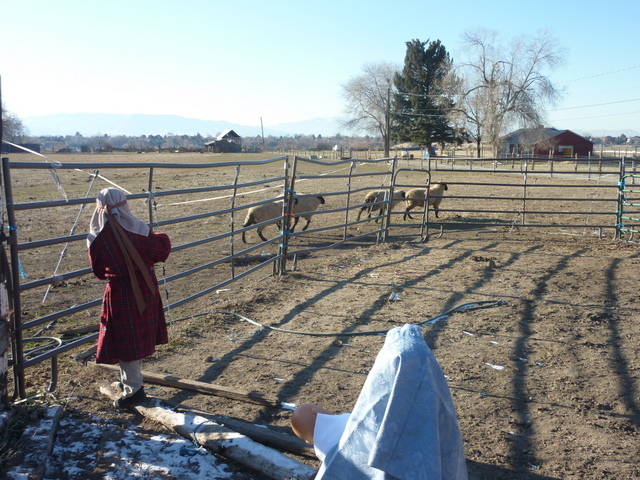 It looks like not only the shepherd quaked, but the sheep were in a hurry to get out of there too! That’s so cool! 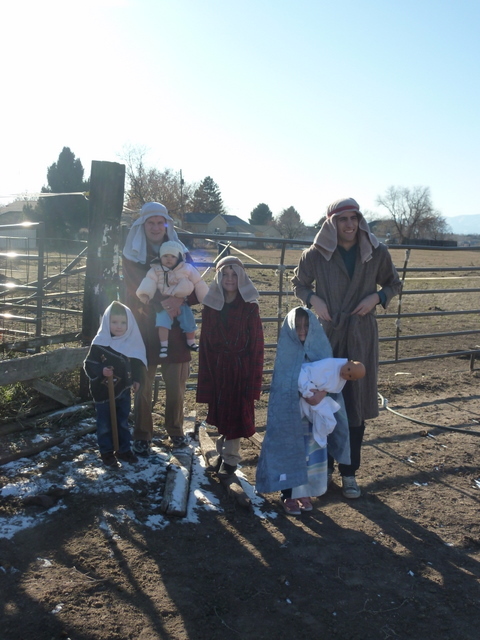 I will not show our kids b/c our nativity plays will never compare!